The Mercedes-Benz Junior Cup, which has taken place in the Glaspalast in Sindelfingen outside of Stuttgart since 1991, has become the Mecca for discovering some of the brightest talent in European football. Over the years, the tournament included youth teams from the prolific youth schools of FC Barcelona, Tottenham Hotspur, RSC Anderlecht, Paris Saint-Germain, Urawa Red Diamonds, FC Basel, Manchester United, Fluminese and Club América, as well prolific national team youth sides from Argentina, Cameroon, the United States, and Nigeria. 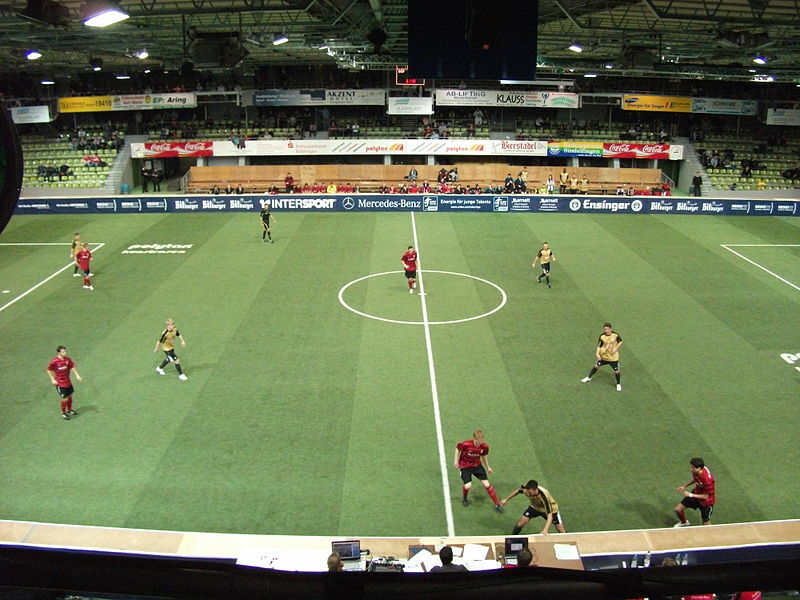 The tournament is played five against five on a 50×30 meter artificial turf field, surrounded by boards, which can be used to deflect the ball and, as a result, the game is extremely fast and entertaining to watch. The goals are 5×2 meters, and have rounded corners like in ice hockey. Hosted by VfB Stuttgart, who have won the tournament on four occasions (1995, 1996, 2000, and 2007), the tournament is considered a jumping off point for promising talents, and 28 players, who have played at the tournament, have later featured for the German national team. Current national team players, who have played at the Mercedes-Benz Junior Cup are Joshua Kimmich, Leroy Sané, Mesut Özil, Manuel Neuer, Mario Gomez, Sami Khedira, Benedikt Höwedes, and Sebastian Rudy. 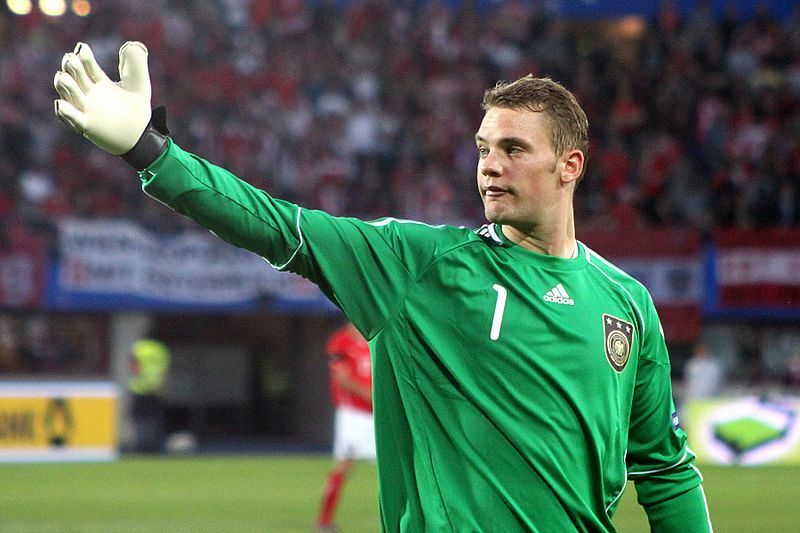 But not only German national team players have taken their first steps at the tournament. Prominent international players include the likes of Nuri Sahin, Zdravo Kuzmanović, Jordi Cruyff, Fabian Frei, Diego Baldé Keita, and, most recently, Marcus Rashford. 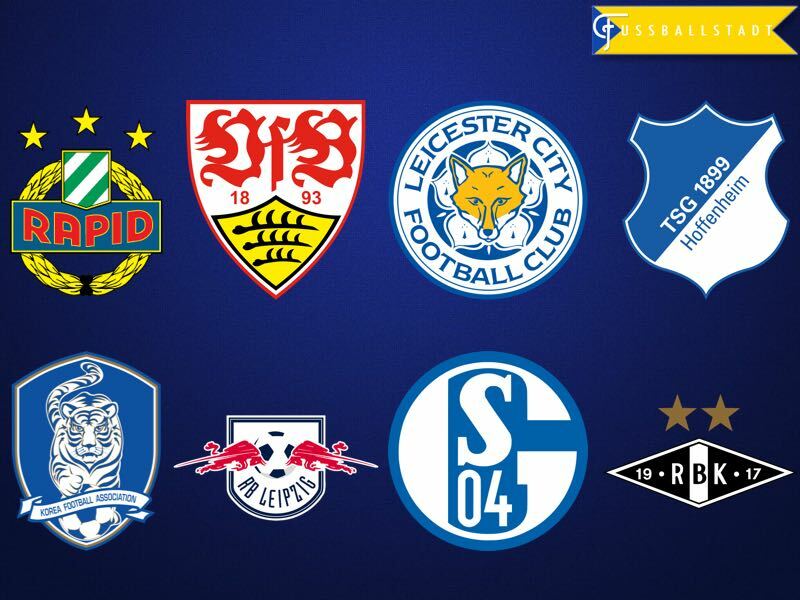 This year’s edition will include hosts VfB Stuttgart, the Austrian club Rapid Vienna, who won the title last year, the English champion Leicester City, who are participating for the first time, the Norwegian club Rosenborg Trondheim who, like Leicester, are at the tournament for the first time, the Bundesliga clubs TSG 1899 Hoffenheim, who finished second in 2016, FC Schalke 04, who have won the title on three occasions (2006, 2013, and 2014), and RB Leipzig, who like Leicester and Trondheim are participating for the first time. The South Korean U-19 national team, who have never taken part in the tournament before, completes the eight-team field. The teams that are taking part in the Mercedes-Benz Junior Cup are divided into two groups. This is the first time that RB Leipzig are taking part at the Mercedes-Benz Junior Cup. RB Leipzig was only founded in 2009 and, as a result, no player has been able to make it from the club’s youth academy to the senior squad. That said, RB Leipzig’s sponsor, Red Bull, has invested heavily in the club’s junior development and, as a result, the club is considered one of the favourites to win the tournament. RB Leipzig’s U-19 is currently third, behind Hertha Berlin and VfL Wolfsburg, in the U-19 Bundesliga North-Northeast Division. Eight of the 12 players that RB Leipzig has nominated for the tournament are already junior national team players for their respective countries. Ermedin Demirović is RB Leipzig’s top scorer in the U-19 Bundesliga. The German-Bosnian, who is currently part of Bosnia-Herzegovina’s U-19 team, has scored 11 goals in 15 U-19 Bundesliga games this season. Another player to look out for is Julian Chabot. The 18-year-old defender is currently a member of Germany’s U-19 team and, at already 194cm, could be ready for Bundesliga football sooner rather than later. Also look out for forward, Agyemang Diawusie, who Leipzig signed from 1. FC Nürnberg’s youth academy in 2015. Norwegian football has seen a real renaissance of late, as several clubs, from what will be called the Eliteserien from 2017 onwards, have identified youth development as a key to financial survival. The transfer of Martin Ødegaard from Strømsgodset to Real Madrid in 2015 brought international recognition to Norway’s youth movement. Like Strømsgodset, Rosenborg has relied heavily on youth development in order to both survive financially, and also to compete with clubs from Western Europe—the club qualified twelve times for the group stage of the UEFA Champions League. The club won the 2016 Norwegian title with a squad that has an average age of just 24.1. Rosenborg’s current U-19 is represented in the playoff face of the UEFA Youth League, where they will face FC Basel from Switzerland. Rosenborg’s 17-year-old defender Robin Lorentzen will be one of the players to look out for. Tall and strong, Lorentzen has already played five times for Norway’s U-17. Another player to look out for will be Vegard Erlien, who has scored three times in four UEFA Youth League matches. This will be the twelfth time that FC Schalke 04 participate in the Mercedes-Benz Junior Cup, and only VfB Stuttgart have won the title on more occasions than the die Knappen. The list of players who have participated for Schalke at the tournament also reads like a who’s who of recent German football history. Players, like Mesut Özil, Benedikt Höwedes, Julian Draxler, Max Meyer, Ralf Fährmann, Leroy Sané, and Joel Matip have all played for Schalke at the tournament. The combined transfer value of the listed players is €224 million, and could easily form a competitive Bundesliga side. Schalke’s prolific youth academy is the brainchild of Norbert Eigert, who is considered the most talented youth coordinator in German football. It is thanks to Eigert that Schalke survives today, as the club managed to overcome its heavy debt not just thanks to Gazprom investments, but also by selling some of the club’s most talented youth players. With the above-mentioned track record of producing talent in mind, Schalke might be the team to watch during the tournament, as every player in their squad will feature in the Bundesliga at some point or other. Perhaps one of the more interesting players to follow will be Haji Wright. Schalke signed the 18-year-old American in March 2016 after his contract expired with the New York Cosmos. A tall and athletic forward, Wright is understood to have a bright Bundesliga future. The story of Leicester City has been told aplenty: The team from nowhere that won the title in England last season. It remains to be seen, however, whether the club’s U-19 can repeat the feat at the Mercedes-Benz Junior Cup this season. Leicester’s youth academy has produced the likes of Gary Lineker, Gordon Banks, Peter Shilton, and Emile Heskey. Three players—Jeffrey Schlupp, Andy King, and Ben Chilwall—were produced by the club’s youth academy, and also were members of the squad that won the English championship last season. The current youth team has, however, struggled in the UEFA Youth League, finishing last in Group H behind Porto, FC Copenhagen, and Club Brugge. The 18-year-old Romanian Alexandru Pasçanu has already featured for Leicester City’s U-23 in the Premier League 2, and also played in all six games of the UEFA Youth League this season. Also look out for Darnell Johnson. The 18-year-old right back has already played for England on three occasions, and could feature in the Premier League sooner rather than later. 1899 Hoffenheim are another surprise team in the Bundesliga this season, and part of this is due to the club’s prolific youth academy. The current squad includes several players who were developed by the club, including Nadiem Amiri, Philipp Ochs, Niklas Süle, and Jeremy Toljan. The club’s youth academy has not only produced promising players, but also coach Julian Nagelsmann, who last season became the youngest coach in Bundesliga history. Nagelsmann, now aged 29, actually led the U-19 at the Glaspalast last season, before taking over the senior side just four weeks after the tournament finished. His side finished the tournament second last year, and Hoffenheim is considered by many as one of the clubs that could win the title this year. Alfons Amade could be the player to watch at the tournament. The 16-year-old U-17 German national team player, who was born in Heidelberg, is of Mozambique descent, and is considered one of the brightest right-back talents in German football. The host of the tournament has fallen a bit on tough times, as the club was relegated from the Bundesliga last season. Stuttgart, along with Schalke, have, for a long time, been considered one of the most prolific producers of talent for the German national team. The most recent national team player produced by Stuttgart is Joshua Kimmich, who turned heads at the European Championships in France last summer. Kimmich is now an important squad player at both Bayern München, and the German national team. Other alumni include Mario Gomez, Sami Khedira, Kevin Kuranyi, Bernd Leno, and many more. Without a doubt, Ali Ferati, not to confuse him with his also highly talented brother Arianit Ferati, who is currently out on loan at Fortuna Düsseldorf, will be one of the players that scouts will keep an eye on. Ali Ferati is a typical playmaker; he is technically gifted, and also possesses great vision, and has already been compared to Mesut Özil. South Korea will be the only national team at the tournament, and RB Leipzig sport director, Ralf Ragnick, told kicker magazine that South Korea “could become the surprise team of the tournament.” Ragnick believes that playing five against five could be a major advantage for the more agile South Korean players. South Korea is taking part at the tournament through the initiative of the country’s senior national team coach Uli Stielike. Stielike believes that taking part in the tournament could be a major advantage when the country hosts the U-20 World Cup from May 20 to June 11 this summer. Indeed, it will be interesting to see how South Korea performs against some of the best talent on the continent, and whether the Koreans could be the dark horse of the tournament. The big stars, like FC Barcelona forward Seung-Woo Lee, will not take part for South Korea’s U-19 at the tournament. Instead the country has nominated a squad of relatively unknown players. South Korea, however, has been, of late, one of the most prolific producers of talent in Asia, and it would not be surprising if one of the Korean players becomes the standout of the tournament. Rapid Vienna are the title defenders, as the club defeated 1899 Hoffenheim in last year’s final to win the Mercedes-Benz Junior Cup. The result was, in many ways, surprising, as there are no U-19 squads in Austria—there are U-15, U-16, and U-18 youth leagues in Austria, but no competitions for U-19 squads. Instead, most U-19 players already train with the senior squads, or play in the second squad of Rapid Vienna. U-19 head coach, Muhammet Akagündüz, will, therefore, attempt to defend the title with a squad mixed from Rapid’s second team, and the current U-18 squad. As a result Rapid, are the only team that has not announced a squad for the tournament. The club is likely, however, to send a team that can be competitive enough to defend last year’s title. 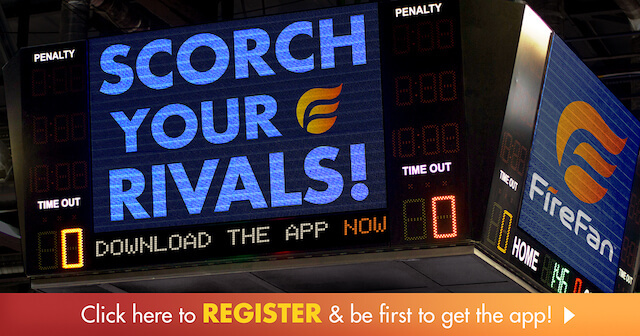 After the group stage, the champion will be determined in a playoff format (the full schedule can be found here). The tournament will attract scouts from all over the planet, who will descend on Singelfingen’s Glaspalast with the goal of discovering the next Mesut Özil or Sami Khedira. For those who can’t be there in person and are interested in watching the games and doing some scouting themselves, the games can all be watched via live stream from the Mercedes-Benz Junior Cup homepage. The four German sides, RB Leipzig, Schalke, Hoffenheim, and Stuttgart are the top favourites for the title. Of those four, Schalke and Leipzig will be the most interesting to watch, as they represent the country’s most prolific, and newest youth academies. As always, however, there could be a major surprise and, like Ralf Ragnick, we are especially curious about South Korea, who will want to show that they are ready to host the World Cup this summer.